Samsung Electronics America Inc has signed a lease for 216k sf at Legacy Central in Plano, TX. 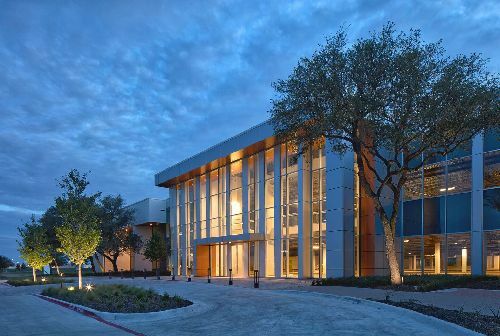 The firm will relocate its Richardson headquarters to fully occupy Building 4, located at 6625 Declaration Ave, within the Legacy Central campus. Samsung plans to relocate its 1,300 regional employees to the new headquarters. The company has a planned move-in date of February 2019. Duane Henley and Nathan Durham with Transwestern represented the building owner, Regent Properties, in the transaction. Matt Astrachan, Steve Thelen, Kimarie Arkenbrand, Simon Landmann and Nicole Tiger of JLL repped Samsung. Terms of thelesae wree not disclosed. Legacy Central is a dynamic, technology-oriented office and mixed-use campus on 84 acres, totaling nearly 1 msf of office space across four buildings and centered around engaging outdoor spaces. Regent Properties acquired the property in 2015, investing more than $80 mil in common area capital improvements to transform the site into a cutting-edge, first-class creative office campus. Legacy Central’s amenities include a 25k sf fitness and sports center, a 300-seat conference center, tenant lounge and a farm-to-fork food hall that seats 400. The outdoors space offers Wi-Fi-enabled collaborative courtyards, meeting spaces and jogging trails.